Did you know that at any given moment in a day, 660,000 drivers are using or manipulating phones while driving, and dash-mounted phones simply mean drivers’ eyes are off the road. 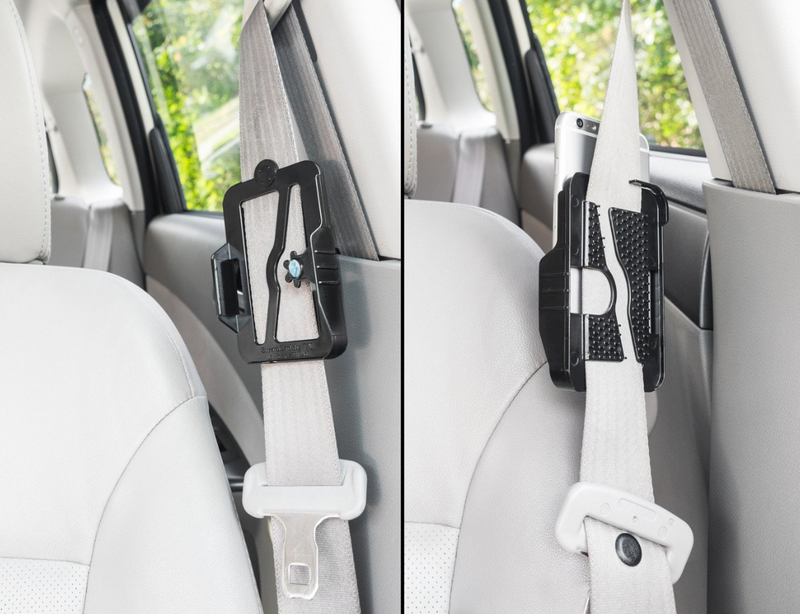 Add in the distractions that come with children in the car and there are few more dangerous combinations. Wow, that is a lot of people out there driving and touching their phones, that is pretty dangerous. There has to be a better way, a way to talk hands free. Sure some cars may come with Bluetooth as a standard option but older cars do not. And I have to say that most of my friends and family do not drive cars that are new so if they did indeed want to use their phones they would have to use their hands while driving. But not anymore, thanks to the Strap Caddy! 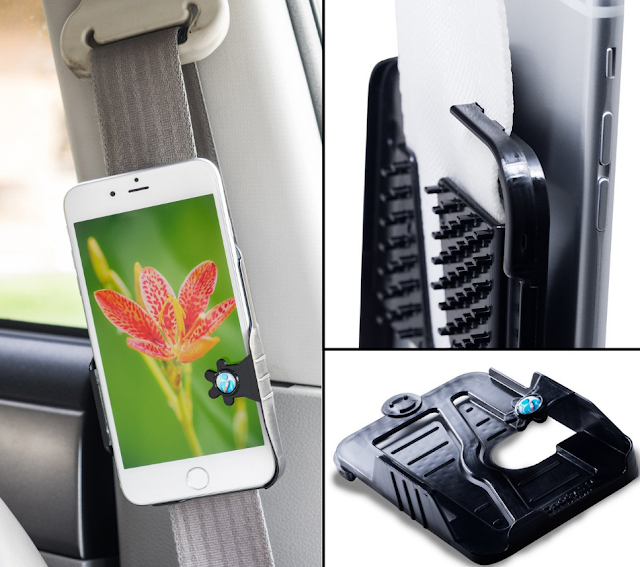 Strap Caddy is a new hands-free phone holder that removes those temptations by attaching to any seat belt, letting drivers use their smartphone's speaker and mic without obstructing their view or forcing them to take their eyes off the road. 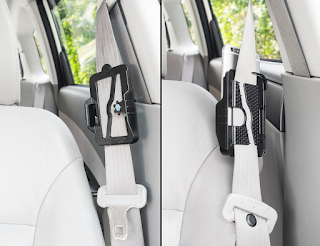 It snaps on and off belts with ease so people don't even have to pause their conversation, and is small enough to fit in a purse so it’s always on hand for renting cars. 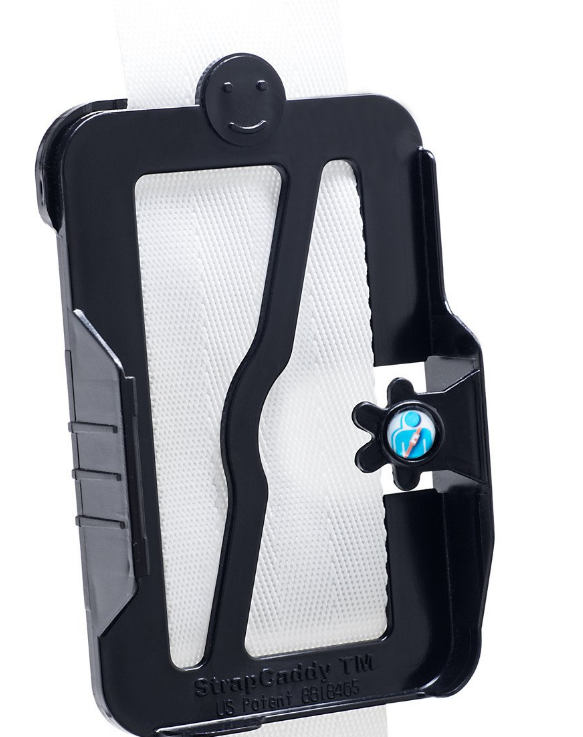 The generous folks at Strap Caddy are giving two of Susan's Disney Family readers a chance to win their very own Strap Caddy. Would you like to enter? Please visit the Strap Caddy site, and take a look around then come back here and comment about something you learned from the site. There are also other ways to enter, please enter below. 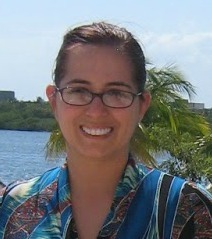 Disclosure: The reviews and or opinions on this blog are my own opinions . I received NOTHING to post this, just wanted to share this giveaway with my readers. No monitory compensation was received. I was not required to write a positive review. Your experience may differ. The opinions I have expressed are my own I am disclosing this in accordance with the Federal Trade Commissions 16 CFR Part 255: Guides Concerning the Use of Endorsement and Testimonials in Advertising . I learned it is made in the usa!